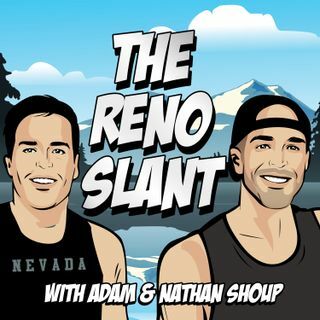 013: Aaron Torres of Fox Sports Radio, Nevada basketball starts hyped year with win over BYU, Lake Tahoe is how old? The Nevada basketball offseason is finally over. Eric Musselman and company started the highly anticipated season with a win over BYU (4:47). Pacific now comes to Lawlor Events Center to play the No. 7 Wolf Pack (16:40). Aaron Torres of Fox Sports Radio shares his thoughts on the 2018-19 Nevada Wolf Pack (27:56). Nevada football returns from its bye for the final home game vs Colorado State (1:08:24). For slants, the Shoup brothers talk Jordan Brown minutes, recycling and Lake Tahoe’s age ... Maggiori informazioni (1:27:41).